The best way to avoid toothaches and decay and to maintain good oral health is through regular dental care. 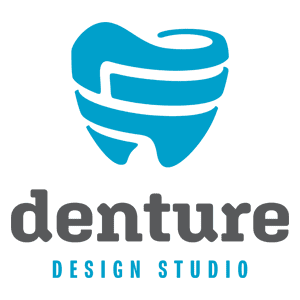 Denture Design Studio, serving College Place and Walla Walla, Washington, offers preventive dentistry services like comprehensive teeth cleanings, full dental exams, and more to guarantee your mouth is its happiest and healthiest. Call Denture Design Studio today for your comprehensive exam appointment with Nancy Shelton, DDS. Preventive dentistry focuses on keeping teeth and gums healthy through regular brushing and flossing as well as regular professional dental cleanings. Regular dental appointments and cleanings reduce your risk of cavities, gingivitis, and periodontitis. These appointments give your teeth a professional cleaning to remove tartar and prevent dental problems from arising, or enable Dr. Shelton to identify issues before they turn serious. Gingivitis is the initial stage of periodontitis, or gum disease. When plaque builds up on your teeth, it can lead to gum irritation and cause gingivitis. Gingivitis is a treatable condition, and you can reverse its damage. If left untreated, however, gingivitis leads to periodontitis, which causes permanent damage. Symptoms of gingivitis include tender, swollen, or red gums that bleed when you brush or floss. Preventive dental care from regular brushing and professional cleanings can treat gingivitis. Gum disease, or periodontal disease, comes from a bacterial infection in your gums. When left untreated, it can destroy the structures that support your teeth and jawbone, damaging your teeth or even causing them to come loose. Gum disease not only leads to problems with your oral health but harms your overall health as well. The best way to avoid periodontitis is through regular brushing, flossing, and preventive dental appointments that include professional cleanings. While everyone can benefit from preventive dentistry, it's especially important to introduce children to best practices at an early age. Not only does it help their developing permanent teeth grow strong and healthy, but sealants and fluoride treatments can also reduce decay. What can I expect during my dental appointment? If necessary, Dr. Shelton also provides tooth extractions. To schedule a preventive dentistry appointment, call Denture Design Studio today.